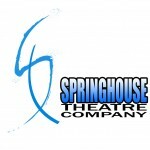 STC started as Lamplighter's Theatre Company and opened its first season in the fall of 2004 as a ministry of Springhouse Worship and Arts Center. We are not your standard “church” drama. We have been blessed with a number of people who have genuine credentials in the theatre and we take our theatre seriously. We strive to do high quality productions that will appeal to the secularist as well as the believer. This does not mean that we don’t have a kingdom agenda; we do. However, we don’t believe that Christ must be forced down anyone’s throat. (Actually, it is the heart, not the throat, that counts.) We do believe that the Gospel is a more than legitimate contender in the rumble of ideas and real life. Springhouse will do plays that delight. We will do plays that provoke. We will do plays that inspire. We will not do plays that degrade or mislead. Auditions are open to all from both inside and outside the church. People from throughout the community are welcome to come and learn and help us learn. In addition to our regular season on the main stage we have a blackbox theatre where we produce somewhat more edgy and/or less commercially viable works. We also conduct Drama Camps in the summer for grades 1-12 and provide various educational opportunities for adults throughout the year.